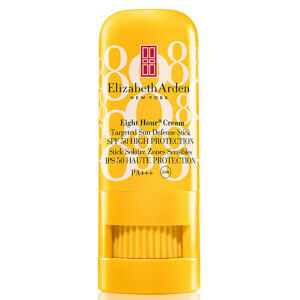 Perk up and protect lifeless skin with the Elizabeth Arden Eight Hour Original Set; a selection of cult-favourite skincare treats to intensively hydrate and nourish. Utilising the brand’s highly-coveted Eight Hour® formulations for long term benefits, the multi-purpose moisturiser, nourishing lip salve and hand treatment work in tandem to impart fresh and replenished skin from tip to toe. A multi-tasking salve with a nourishing formula that protects, moisturises, soothes, restores and calms chapped, cracked skin whilst working wonders on redness and minor skin irritations to leave skin feeling relieved and comfortable. Super-versatile, it can also be used to shape brows, add shine to cheeks, nourish dry hands and smoothen nails and cuticles. A classic skincare necessity, the cream will leave skin feeling comforted, repaired and replenished. A best-seller for lip nourishment. Renowned for its amazing healing and moisturising properties, the lip balm is enriched with emollients, protective sunscreen and Vitamin E to defend against damage caused by environmental aggressors whilst replenishing vital hydration. The handy stick is perfect to take with you anywhere to treat dry, chapped lips on the go. Expect soft, supple and silky-smooth results. A popular, award-winning formulation that pampers hardworking hands with a mega-dose of long-lasting hydration that lasts for up to eight hours. Enveloping hands with powerful humectants (Butylene Glycol and Dimethicone) that help to keep the skin moist by attracting moisture to the skin, the protective cream provides instant relief for dryness and cracking with its non-greasy and fast-absorbing texture. Softening rough, weather-exposed skin, the treatment leaves hands feeling soft, supple and comfortable. Protectant: Simply smooth directly on with fingertips whenever and wherever needed. Lip Balm: Smooth stick over lips whenever needed. Wear alone or under lipstick. Hand Cream: Apply liberally, as often as necessary. Protectant: Petrolatum (56.8%), Lanolin, Mineral Oil, Tocopherol, BHT, Salicylic Acid, Ricinus Communis Seed Oil (Castor), Vegetable Oil, Zea Mays Oil (Corn), Fragrance, Citral, Citronellol, Geraniol, Limonene, Linalool, Propylparaben, Iron Oxides. 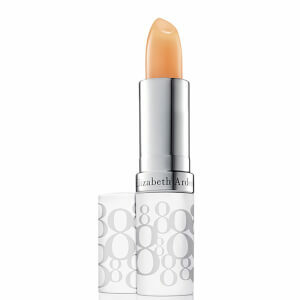 Lip Balm: Active Ingredients: Padimate (0.8% W/W), Oxybenzone (2.4% w/w), Petrolatum (30.2% W/W). Other Ingredients: Castor (Ricinus Communis) Oil, Ozokerite, Glyceryl Rosinate, Cetyl Lactate, Lanolin Oil, Myristyl Lactate, Cetyl Acetate, Candelilla (Euphorbia Cerifera) Wax, Carnauba (Copernicia Cerifera) Wax, Beeswax, Tocopherol, Acetylated Lanolin Alcohol, Microcrystalline Wax, Corn (Zea Mays) Oil, BHT, Methylstyrene/Vinyltoluene Copolymer, Fragrance, Butylparaben, Propylparaben, Iron Oxides. Hand Cream: Water/Aqua/Eau, Cetearyl Alcohol, Decyl Oleate, Dimethicone, Butylene Glycol, Propylene Glycol Stearate Se, Sodium Cetearyl Sulfate, Allantoin, Parfum/Fragrance, Potassium Stearate, Sodium Chloride, Sodium Lauryl Sulfate, Sodium Sulfate, Bht, Citral, Citronellol, Geraniol, Limonene, Linalool, Ethylparaben, Methylparaben, Phenoxyethanol, Propylparaben.